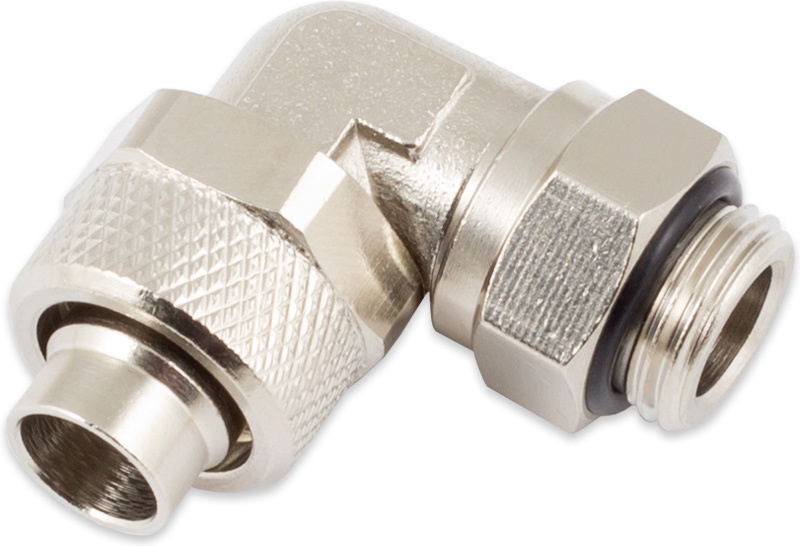 90° hose fitting for 13/10 mm or 12.7/9.5 mm outer/inner diameter hose with cylindrical thread and o-ring gasket. Fitting remains pivotable after fastening. A clamping nut secures the hose to the fitting.